Is it snowing in Hintertux ?Thank you! Issued: 7 am 19 Apr 2019 (local time). The snow forecast for Hintertux is: Mostly dry. Temperatures will be below freezing (max -1°C on Sun afternoon, min -5°C on Fri morning). Wind will be generally light. Hintertux Weather (Next 3 days): The snow forecast for Hintertux is: Mostly dry. Temperatures will be below freezing (max -1°C on Sun afternoon, min -5°C on Fri morning). Wind will be generally light. Hintertux Weather (Days 4-6): A dusting of new snow. Temperatures will be below freezing (max 0°C on Wed night, min -4°C on Mon night). Winds decreasing (fresh winds from the S on Mon night, light winds from the SSW by Wed night). A dusting of new snow. Temperatures will be below freezing (max 0°C on Wed night, min -4°C on Mon night). Winds decreasing (fresh winds from the S on Mon night, light winds from the SSW by Wed night). Mostly dry. Temperatures will be below freezing (max -1°C on Sun afternoon, min -5°C on Fri morning). Wind will be generally light. The above table gives the weather forecast for Hintertux at the specific elevation of 3250 m. Our sophisticated weather models allow us to provide snow forecasts for the top, middle and bottom ski stations of Hintertux. To access the weather forecasts for the other elevations, use the tab navigation above the table. For a wider view of the weather, check out the Weather Map of Austria. Do not waste your money on a lift pass. There are thousands of skiers race training. The Italian team are worst. They are allowed to close pistes then jump the huge lift queues. 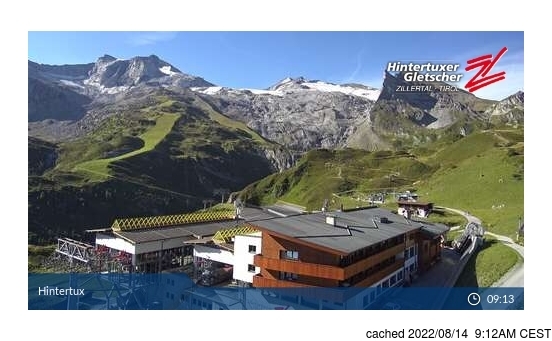 The Hintertux skiing weather widget below is available to embed on external websites free of charge. 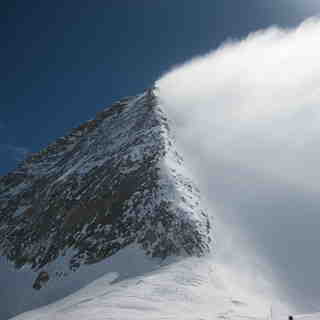 It provides a daily summary of our Hintertux snow forecast and current weather conditions. Simply go to the feed configuration page and follow the 3 simple steps to grab the custom html code snippet and paste it into your own site. You can choose the snow forecast elevation (summit, mid-mountain or bottom lift) and metric/imperial units for the snow forecast feed to suit your own website…. Click here to get the code.